Millennium Seoul Hilton's acclaimed French restaurant is pleased to announce that the 40th Gourmet Circle Dinner will take place on Friday, Sept. 23 and Saturday, Sept. 24, 2005. The Gourmet Circle Dinner, offered only four times a year, is a tradition that started in 1996. It is a celebration of food. With each new season, award-winning Executive Chef Park Hyo-Nam, inspired by that season, creates a special, magnificent menu, which is delightfully paired with a fine selection of wines. A delight for the Seoul sybarite, the event commences with a champagne reception at 6:30 p.m., followed by a heavenly meal accompanied by a perfect selection of fine wines. 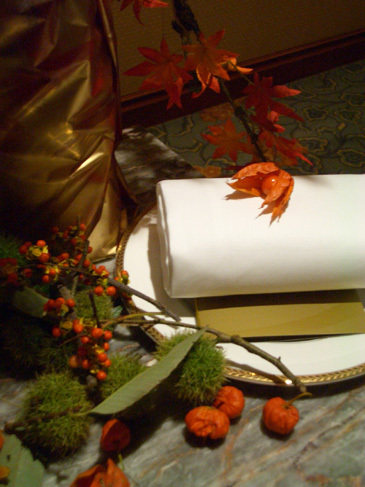 In celebration of autumn, the dishes will include savory and rich foods that evoke the robustness and splendor of fall. This dazzling seven-course dinner, including wine, is priced at 130,000 won per person. Because the Gourmet Circle Dinners are immensely popular, we kindly advise you to please make your reservations well in advance to avoid disappointment.